Twice a year, in May and October NFWS partners with the Burchfield Penney Art Center to host a demonstration by the NFWS Workshop Artist. 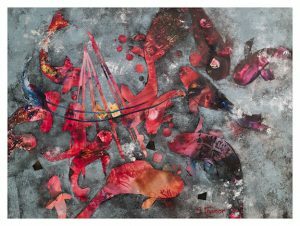 Our Spring Workshop Artist is internationally renowned water media artist, Pat Dews. 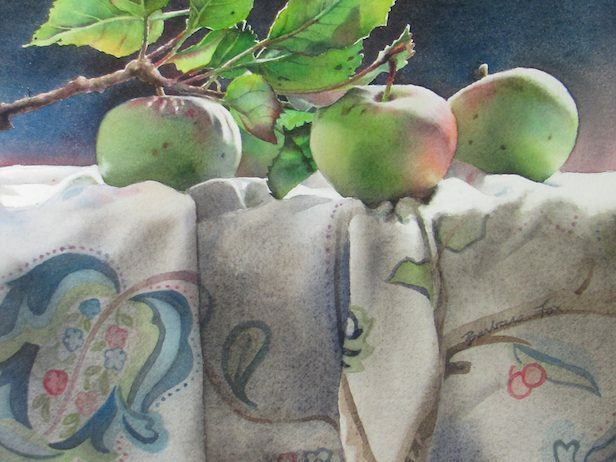 Pat Dews, a graduate of The Fashion Institute of Technology, New York City is a signature member and Dolphin Fellow of the American Watercolor Society, the National Watercolor Society, National Collage Society and the New Jersey Water Color Society. 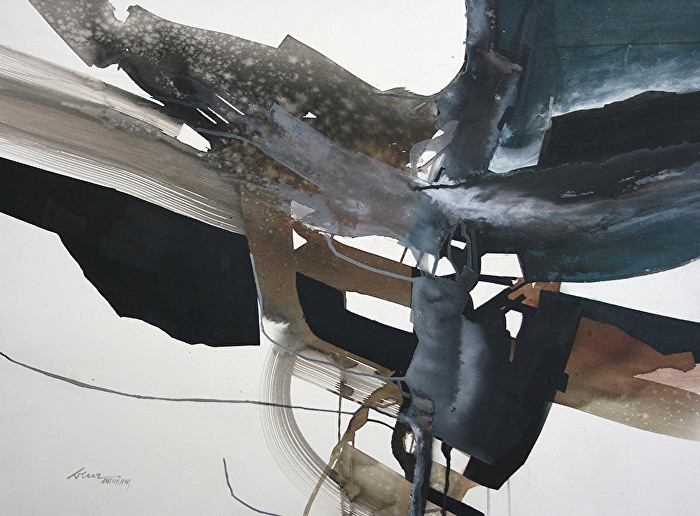 Dews creates experimental works in watermedia on paper and canvas. 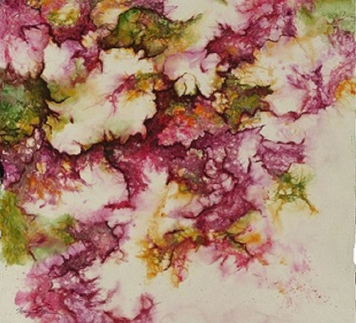 She paints the abstract essence of nature. 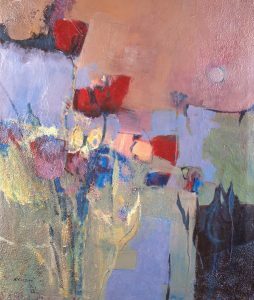 The shapes and textures of flowers, rocks, water, crumbled walls, rusty objects are translated into richly layered paint surfaces. Collage is often integrated. Dews skillfully juggles organic and geometric forms, transparent and opaque paint – all held together by a basic abstract underlying shape. It is this intricate dance, rendered in strong color and value which produces her award-winning paintings. Come to the BPAC early, check our the exhibitions, and the gallery shop. All are welcome! 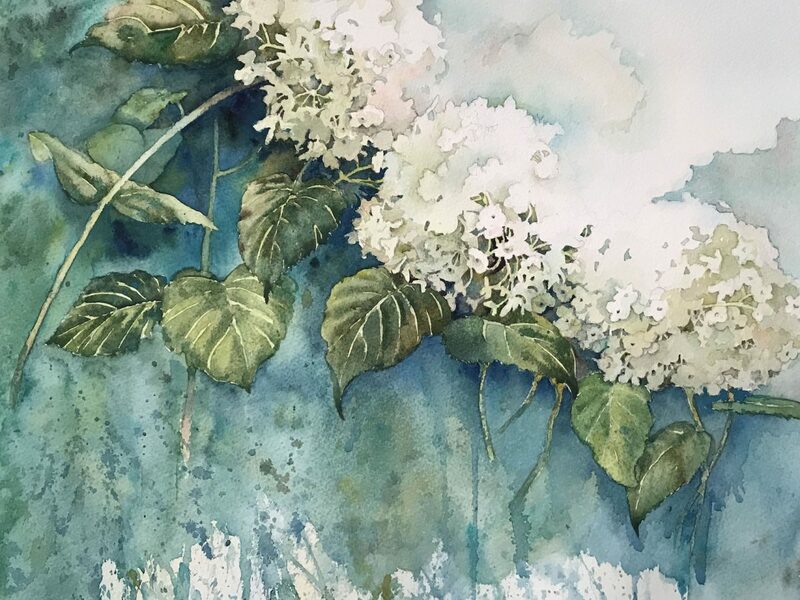 This entry was posted in and tagged Artists Talks, demonstration, Members Monthly Meeting, Watercolor, Watermedia on May 16, 2019 by Carol Case Siracuse. 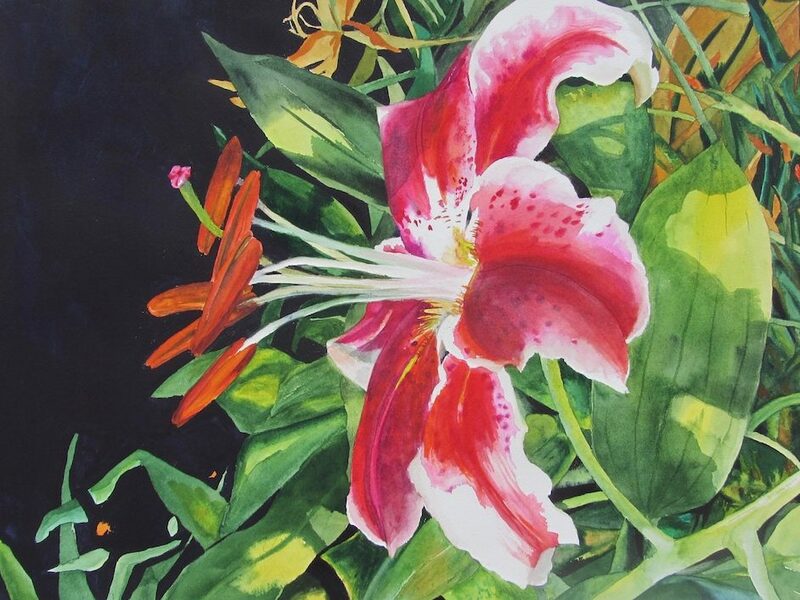 A respected watercolor painter, NFWS Signature Member Mary Hardegen will be our demonstrator in February. “Exposed to watercolor at a young age, I knew that my artistic abilities would ultimately be devoted to it. 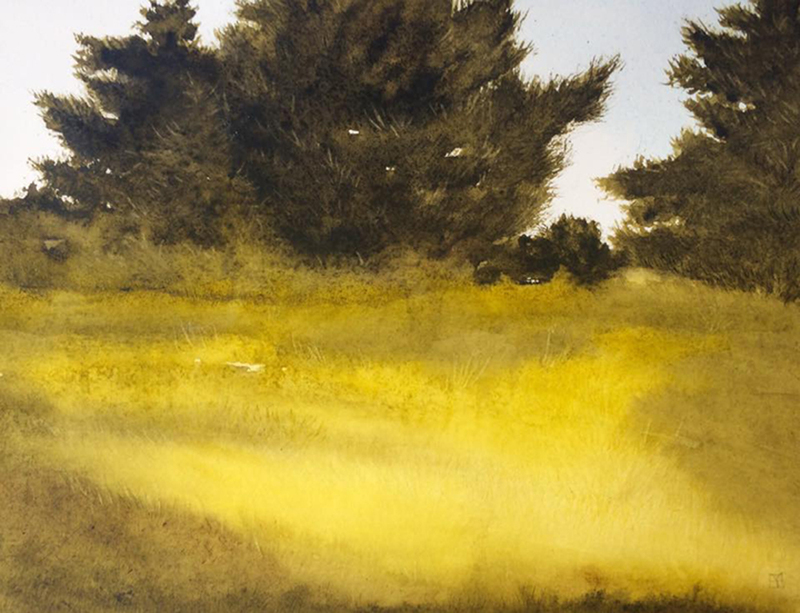 Watercolor itself offers a lifetime of experimentation to learn its elusive qualities. Intrigued more by what the paint itself displays than the actual subjects I choose, I am inspired by anything that captures light and color, especially landscapes. An expressive medium with unique results every time makes it an exciting medium to share with others through hands on experience, which is why I also enjoy teaching others about watercolor. My work has been exhibited locally and nationally, receiving awards and being purchased for personal collections. I have been a member of NFWS for over 12 years, serving as President and in several other roles. I also participate in the Southtowns Watercolor Salon. Centennial Art Center, and Western New York Artists Group. Join us for an evening of friendship and inspiration. Everyone is welcome!! 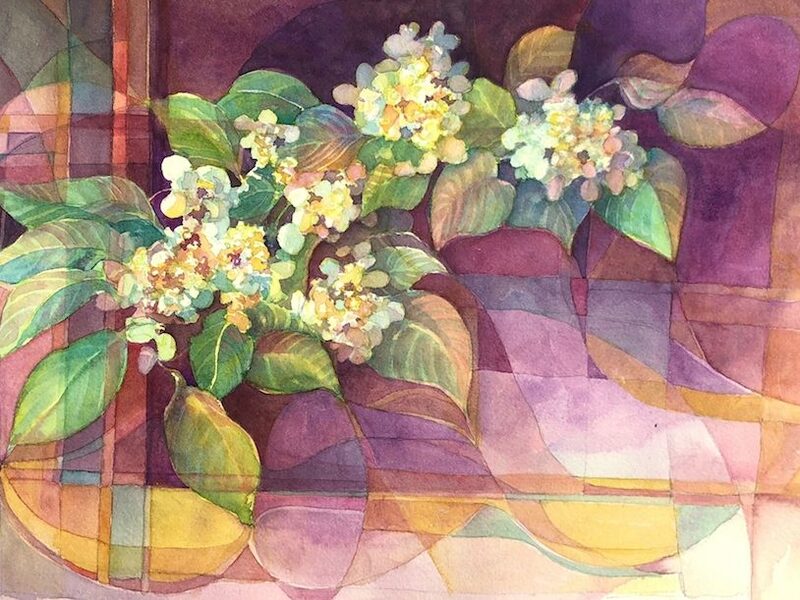 This entry was posted in and tagged Artists Talks, demonstration, Members Monthly Meeting, Transparent Watercolor on February 21, 2019 by Carol Case Siracuse. 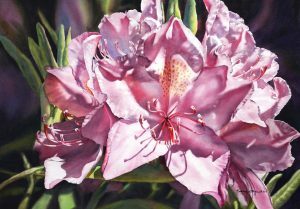 For our January 17th Members Meeting we welcome NFWS Signature Member Vicki O’Reilly whose mastery of luminous florals and keen observation of nature and our surroundings delight lovers of watercolor across the Niagara Frontier. 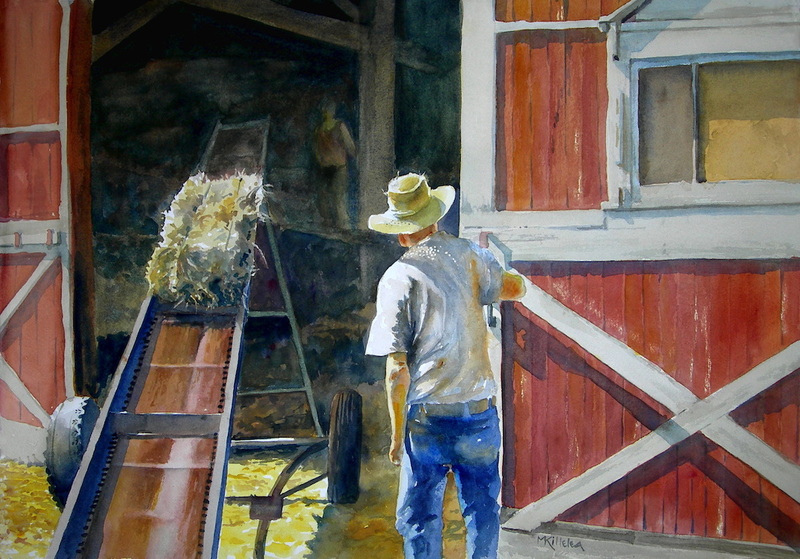 “I have admired watercolor paintings my whole life, but until 15 years ago, I had never worked in watercolor. In 1997, I received a Bachelor of Fine Arts in studio art and art history from U.B., taking classes part time while I raised my two children. I also studied locally with a studio artist in portraiture and life drawing in oils, pastels and charcoals. I was first introduced to transparent watercolor when I met Denise Sperry at a figure drawing class and was intrigued by the medium in which she worked. Denise told me that she gave classes in technique, and I immediately signed up. From then on, I have never looked back. 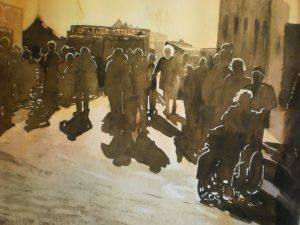 I draw inspiration for my paintings from observation of my everyday environment as well as experience gained in my travels. People are often the subjects of my paintings and at other times I find a landscape or cityscape of a place intriguing. Flowers, however, are a special subject for me and often I find myself drawn to them, wherever I may be. I believe that we all sometimes take the beauty around us for granted and I try to paint in a way that makes people take notice. My goal when I paint is to relate my poetic response to my subject. I will frequently zoom in and exaggerate the color or value to intensify the drama, create a sense of mystery and communicate my excitement. Each painting holds a challenge for me both technically and spiritually, as I work to depict visually what I feel emotionally. Everyone is welcome to join us for an entertaining evening of friendship, learning and inspiration. See you in January! 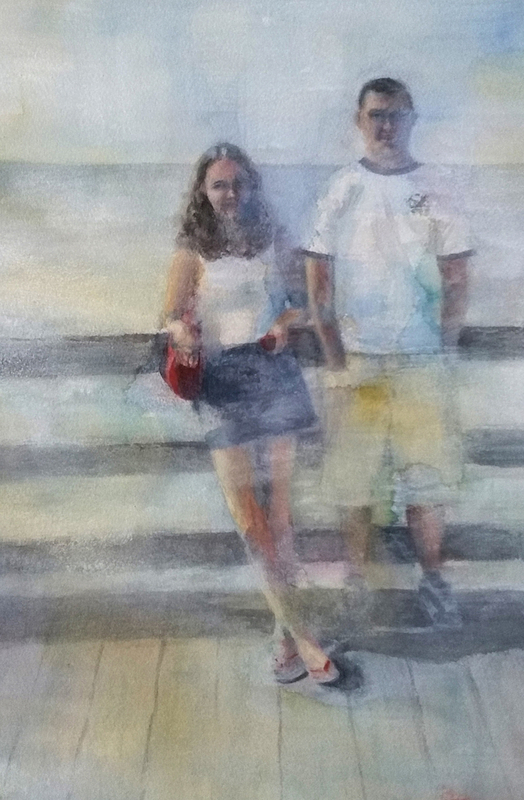 This entry was posted in and tagged Artists Talks, demonstration, Members Monthly Meeting, Transparent Watercolor on January 17, 2019 by Carol Case Siracuse. Our monthly Members Meetings are brief and open to the public. We welcome everyone interested in watercolor, the regional arts community and learning. 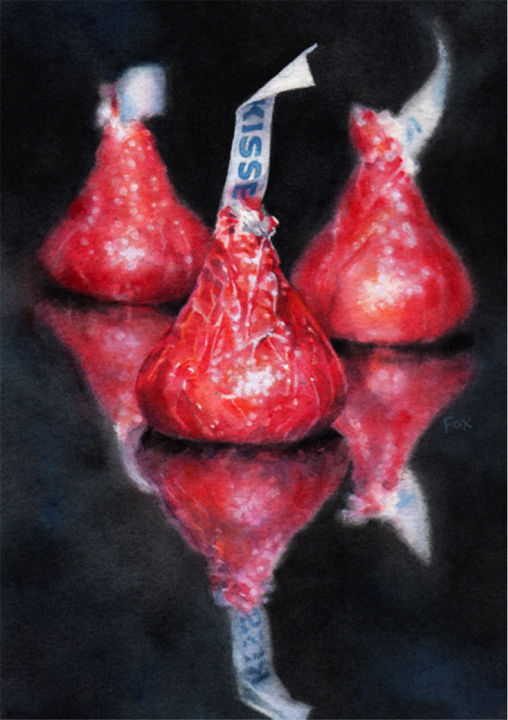 There is always a demonstration by remarkable watercolor artist, and snacks are provided! 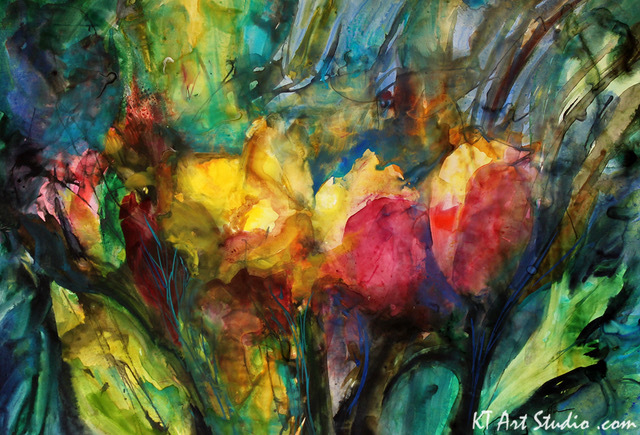 Originally from Buffalo, Katie is a watercolor artist who loves working on slick surfaces. Exposed to the art world at an early age by her late mother, a watercolorist from Buffalo, Turner continues to develop her individual style with passion and dedication painting evocative, fresh and intuitive pieces. Although Turner spent many years in the graphic arts field, writing articles, publishing zines and working with various media, she never strays far from watercolor. Publications: Creative Genius (Book), NLAPW, April 2018; Stone Canoe: A Journal of Arts, Literature and Social Commentary No. 12, March 2018; Celebrating 120 Years of Pen Women Coloring Book, Jan 2018; NLAPW Magazine, Winter 2017 & Spring 2015; In the Company of Women Book, Jacobs Press, June 2016; & several articles in Somerset Gallery Magazines, Scrap & Stamps & more. Membership: International Society of Experimental Artists (ISEA), National League of American Pen Women (Visual Artist), Signature member of Central New York Watercolor Society, Signature member of Niagara Frontier Watercolor Society, and sitting on the Board of the Central New York Art Guild. 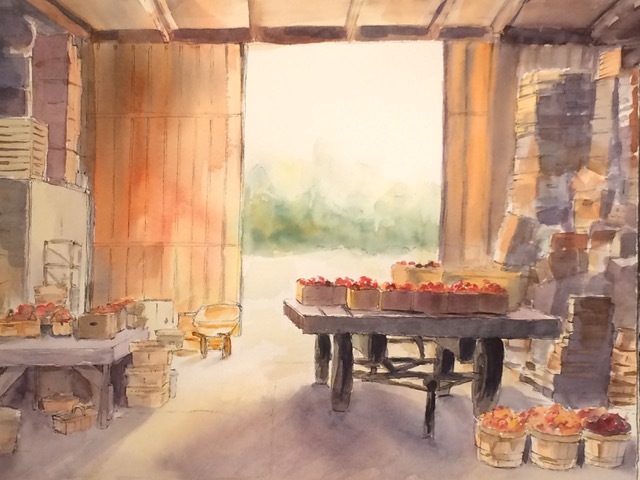 This entry was posted in and tagged Artists Talks, demonstration, Members Monthly Meeting, monthly meeting, Transparent Watercolor, Watercolor, Yupo! on November 15, 2018 by Carol Case Siracuse. 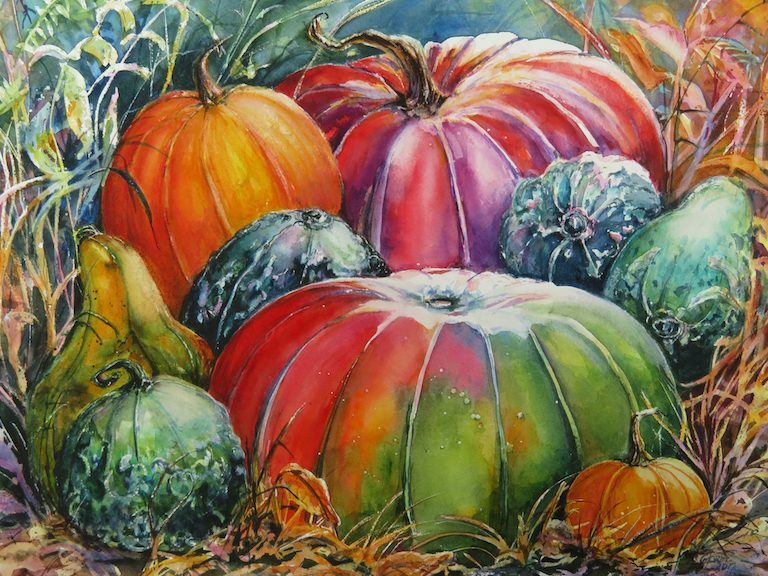 This entry was posted in and tagged Artists Talks, exhibit, Transparent Watercolor on October 28, 2018 by Carol Case Siracuse. Our monthly Members Meetings are brief and open to the public. 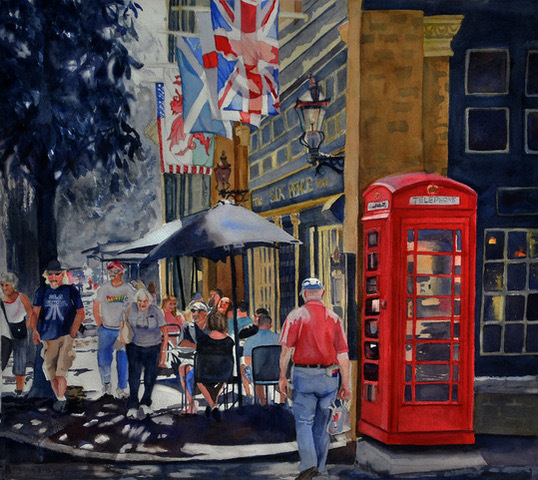 We welcome everyone interested in watercolor, the regional arts community and learning. There is always a demonstration by remarkable water media artist, and snacks are provided! September’s artist demonstrator is Barbara Fox. What a treat! 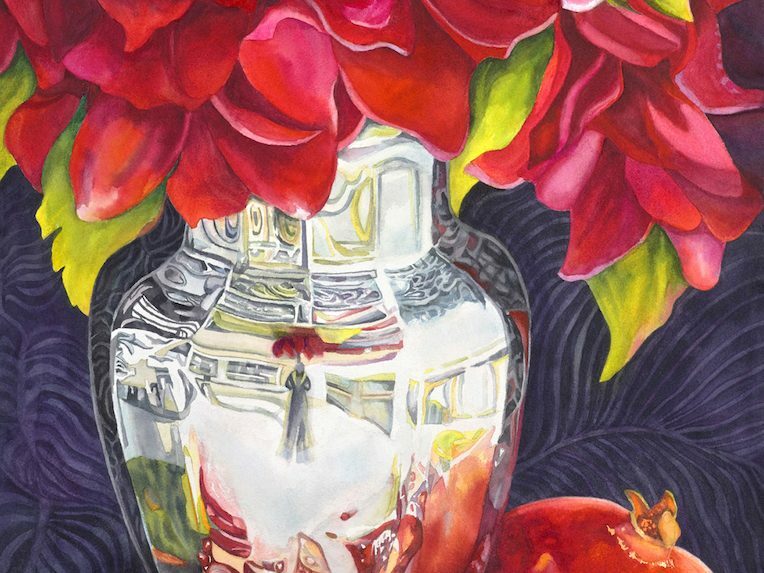 Barbara Fox is a painter recognized for still life and floral subjects in watercolor and oil. 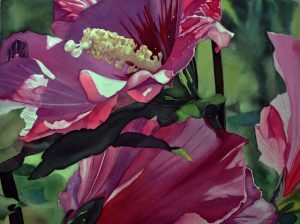 Her meticulously crafted paintings are exhibited and collected internationally, have received numerous awards, and have been selected for publication in fine art books and magazines. 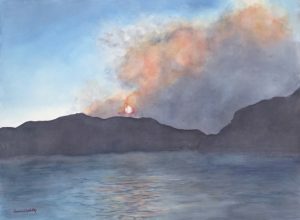 Barbara’s work has been published in four editions of the watercolor publication Splash: the Best of Watercolor Painting. She has been a featured artist in the leading national art magazines American Artist and Watercolor Magic. She leads watercolor workshops around the country, teaching her method of layering washes and painting details. 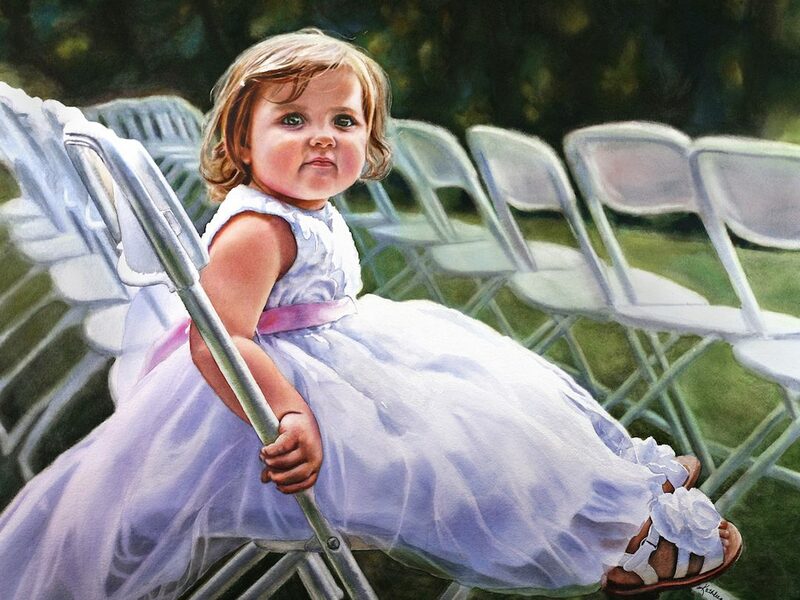 She is a signature member of the National Watercolor Society and the International Guild of Realism, among others. My working method pays homage to the Dutch masters and the tradition of academic painting. I work from life and photographs. 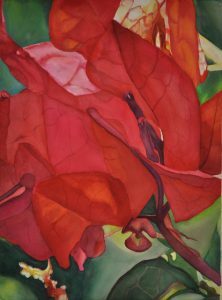 Watercolor and oil paintings begin as detailed drawings to which a number of glazes are applied, building deep values and rich colors. The process of completing these works may take many weeks, so I usually have several paintings in process at once. Creating artwork is both a meditation and an adventure that opens my eyes to our beautiful world. This entry was posted in and tagged Artists Talks, demonstration, Members Monthly Meeting, Transparent Watercolor on September 20, 2018 by Carol Case Siracuse. Come learn about what’s happening in the watercolor community in Western New York, enjoy the company of fellow watercolor and watermedia enthusiasts, and watch a demonstration by our own Deanna Weinholtz. 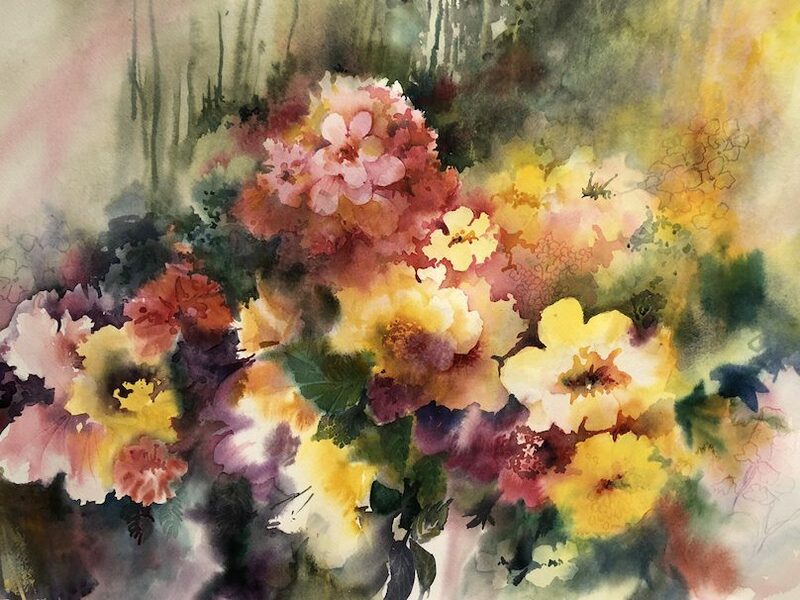 This entry was posted in and tagged Artists Talks, demonstration, Members Monthly Meeting, Watercolor on February 15, 2018 by Carol Case Siracuse. What better welcome back after the holidays! 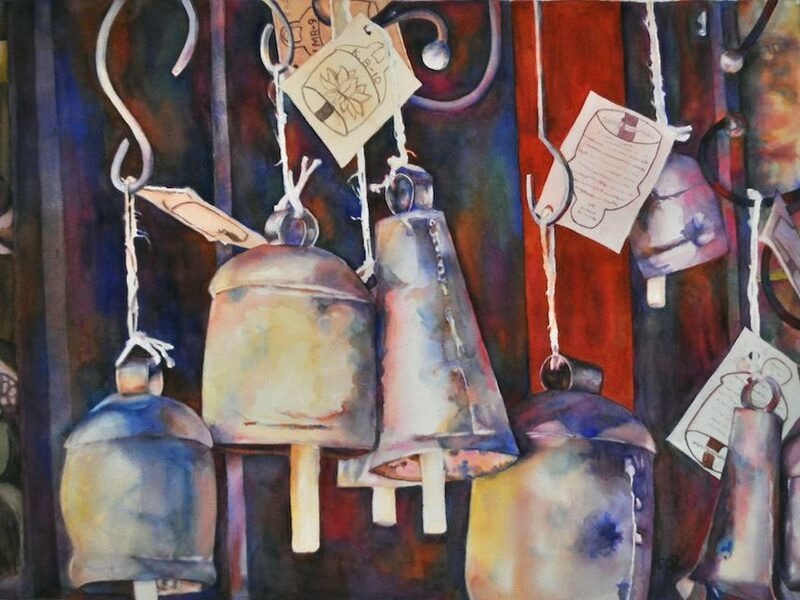 Join us on January 18th, the third Thursday of the month, at the Amherst Community Church for a short Members Meeting and a Demonstration by popular teacher and inspiring Watercolor Artist Dan Meyer. Everyone is welcome. 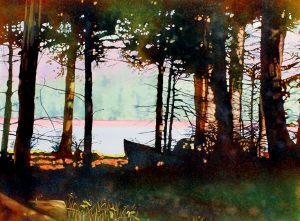 Dan Meyer is a Buffalo born painter who enjoys the challenge of transparent watercolor’s spontaneity and luminescent quality. As a wildlife artist and illustrator, Dan’s creations have won numerous awards and have been featured on posters, consumer packaging and national magazine articles. He exhibits his work at wildlife art shows throughout the year including the prestigious Southeastern Wildlife Exposition in Charleston, South Carolina and Easton Waterfowl Festival in Easton, Maryland. 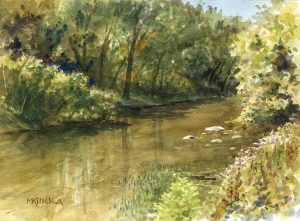 Dan is a member and past president of the Niagara Frontier Watercolor Society and honorary member of the Central New York Watercolor Society. www.woodswindnwater.com. With over 40 years of art experience, Dan Meyer has been interpreting his encounters with the avian wildlife of North America through the use of transparent watercolor. His attempt at capturing the essence of his subject is directly related to his emphasis on values and the luminecient quality of the medium. Dan considers himself a purist when it comes to watercolors, meaning he uses no white paint and tries to avoid opaque colors. The whites of his paintings are the results of painting values around an area leaving the bare paper to create the white. 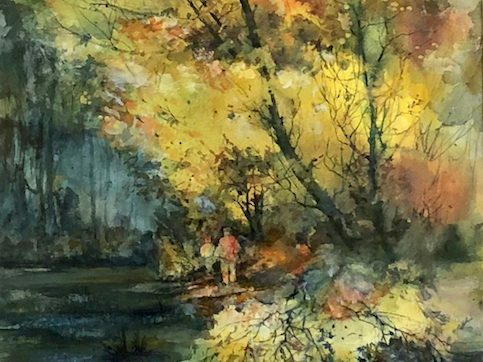 This method of watercolor is one of the challenges that inspires Dan to create new paintings with the same excitement and enthusiasm that he had with his very first painting. 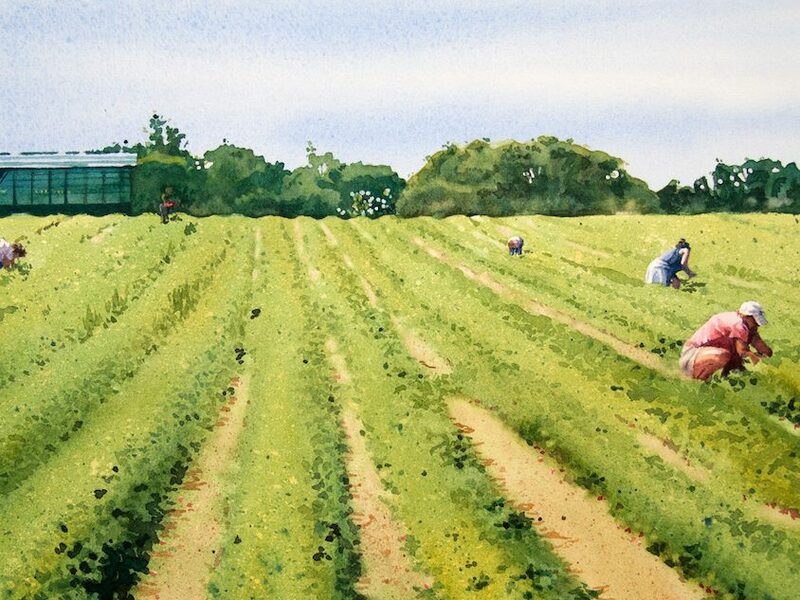 Dan’s inspiration for a painting comes from observing his subject in its natural environment. He gathers information through sketches, notes and photography. In his studio he uses those references to create several sketches of the subject in various positions as part of the design process which will produce an eye-catching and interesting as well as self satisfying painting. A graduate of the Art Institute of Pittsburgh, Dan worked in the advertising and packaging fields before pursuing Wildlife Art full time. His images have been used on packaging, posters, textiles and in sportsman magazines. He exhibits at a number of wildlife art shows in the east and shares his artistic knowledge with students through classes and workshops. 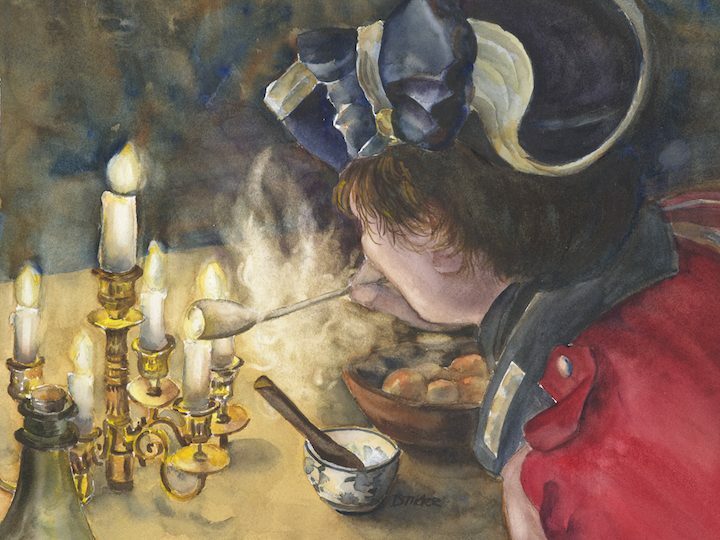 Dan is a charter member and past president of the Niagara Frontier Watercolor Society and honorary member of the Central New York Watercolor Society. This entry was posted in and tagged Artists Talks, demonstration, Members Monthly Meeting, Transparent Watercolor on January 18, 2018 by Carol Case Siracuse. Sally Treanor and Mike Killelea will co-host this event featuring six NFWS Member-Artists whose painting(s) are included in this incredible exhibition. The artists are Roberta Bolt, Sallye Keith, Kathleen Giles, Mary Ellen Hanna, Kateri Ewing and Catherine O’Neill. 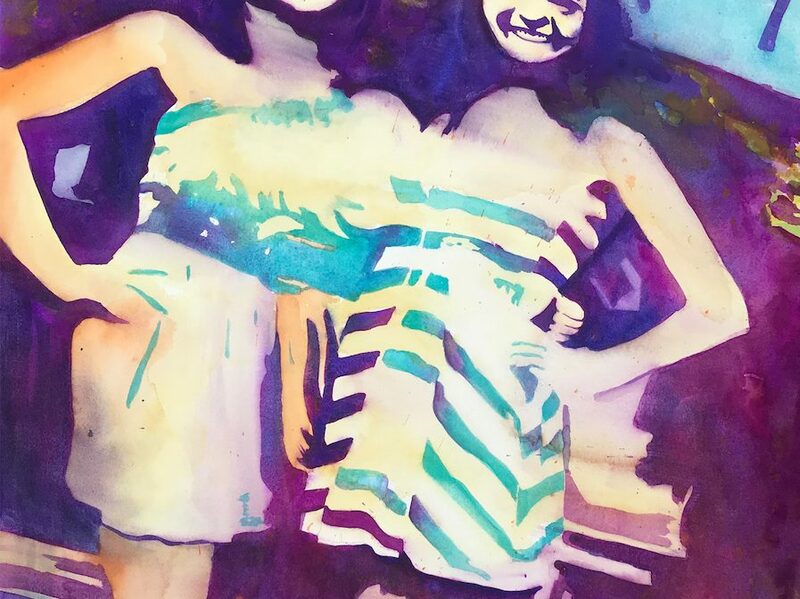 Join us and find out about transparent watercolor and water media. It’s fun! 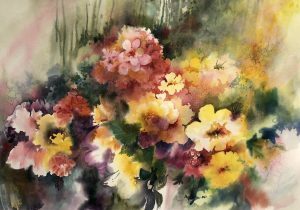 This entry was posted in and tagged Artists Talks, Watercolor Workshop, Watermedia on October 28, 2017 by Carol Case Siracuse.